Yevhenii is the Senior Product Manager for Cloud at Magento, an Adobe Company. Prior to joining Magento, Yevhenii released dozen new products end-to-end - from initial product definition till introduction to market, post-launch marketing and technical support. 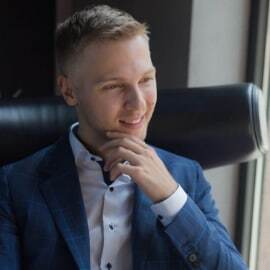 Now Yevhenii is responsible for Magento Commerce (Cloud) development and works with engineering teams on definition and execution of roadmap items for this product.